The Williamsons began singing as a family group in 1969 with Woody and Pinky Williamson and their children Donnie and Tennie. Members of the Williamsons today include Donnie Williamson and his wife Lisa, Darin Hebert and Karl Rice. With the goal of sharing the Gospel of Jesus Christ, they have performed for thousands with their unique style of Christian music. The Williamsons have a way of incorporating many musical styles into their program and they travel across the United States and around the world presenting their ministry in large concert halls, on cruise liners, and in churches of all sizes and denominations. Their missionary endeavors have seen thousands of lives changed. They proudly support The Gospel Station, its World Mission Team and other related ministries. The Williamsons have produced more than a dozen recordings with much of their material written by Lisa and Donnie. Several of their songs have reached the Singing News Top 10, the prevailing chart for Southern Gospel radio. They receive regular radio airplay on the SiriusXM satellite station enLighten! and perform on Christian television programs. The Williamsons were nominated in the Top Ten for Best New Mixed Group in the Singing News Fan Awards, as well as for Breakthrough Artist and Favorite Group awards at the Absolutely Gospel Fan Awards. Absolutely Gospel also named them as one of the Top Ten Groups to Watch! Devoted to God, family, and country, they live what they sing. They desire to see souls find the Lord, people encouraged, and quality Christian entertainment provided. 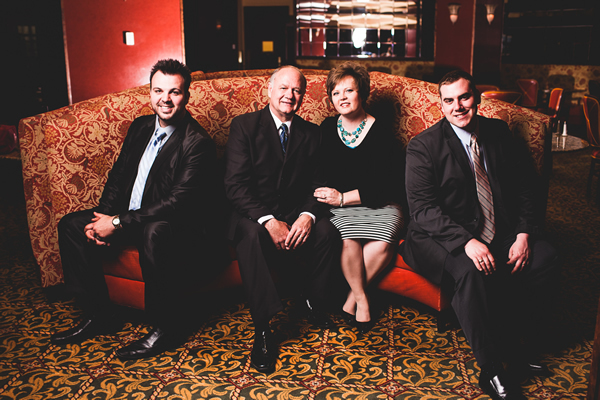 The Williamsons recently became affiliated with The Dominion Agency, a division of Michael Davis & Associates, which promotes some of Southern Gospel Music's premier artists. For more information please visit their website listed above. Management is provided by Butler Music Group.